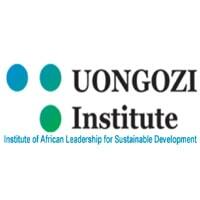 UONGOZI Institute is currently seeking to recruit a Records Management Officer to manage the Institute’s records and archives. • Maintain records management system, including the maintenance and management of active and archived records. • Maintain organisational security and confidentiality of information in accordance with the policy. • Accurately record, file and distribute all inward and outward correspondences including mail, faxes, email and internal correspondence. • Prepare and supervise Institute control books to ensure accessibility of records. • Assist Staff with requests to locate and retrieve information. • Assist in the training of internal users on records management systems and processes. • Assist with administrative duties as required. • Prepare reports as required. • Any other relevant assignment as directed by the supervisor. • Bachelor Degree from a reputable institution in Records and Archives Management or equivalent qualifications on related field. A Master’s degree in Records and Archives Management will be an added advantage. • No less than five (5) years of relevant work experience. • Fluency in English and Swahili is an essential requirement.